Il pacco da giù. Do you know what it is? It means literally a parcel from the South (of Italy, in this case). If you leave the South of Italy and move to the North to attend the University or for work, you would often receive from your family a box full of goodies: your olive oil, the tomato preserve made by your mum, the cheese of your neighbour, the best mozzarella… even though my grandfather moved here in Tuscany from Basilicata more than 60 years ago, still now, when the Southern branch of my family visits us, we are delighted to hug them, and the box: dense bread made with semolina flour and salt, provolone, mozzarelle, taralli with fennel seeds, peperoni cruschi and calzoncelli… Some flavours are irreplaceable. They are steeped in memories. Well, today, let us introduce a new partnership and the modern version of il pacco da giù. 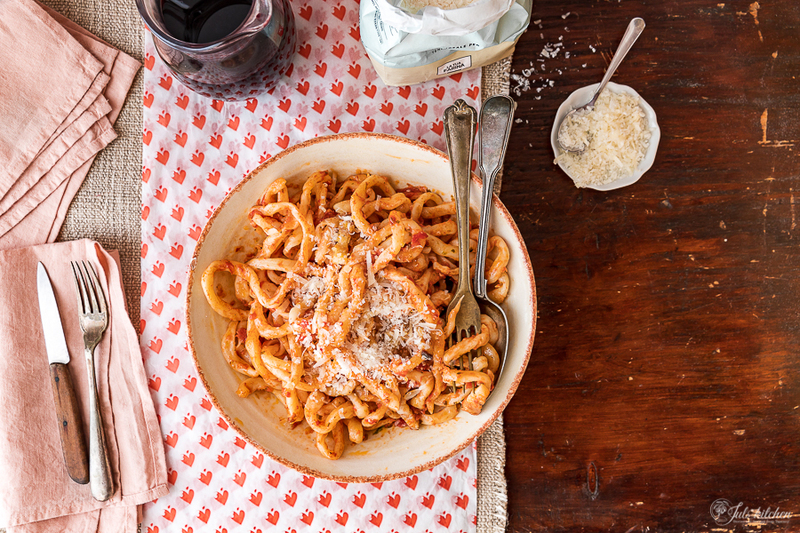 We’re excited to work with Eattiamo, an Italian food box delivery service. Eattiamo is a team of food lovers based in Italy and New York on the continuous hunt for undiscovered Italian food products. They have built an ever-growing network of more than 100 producers. They have heard their stories and seen the passion that goes into the creation of their delicacies. 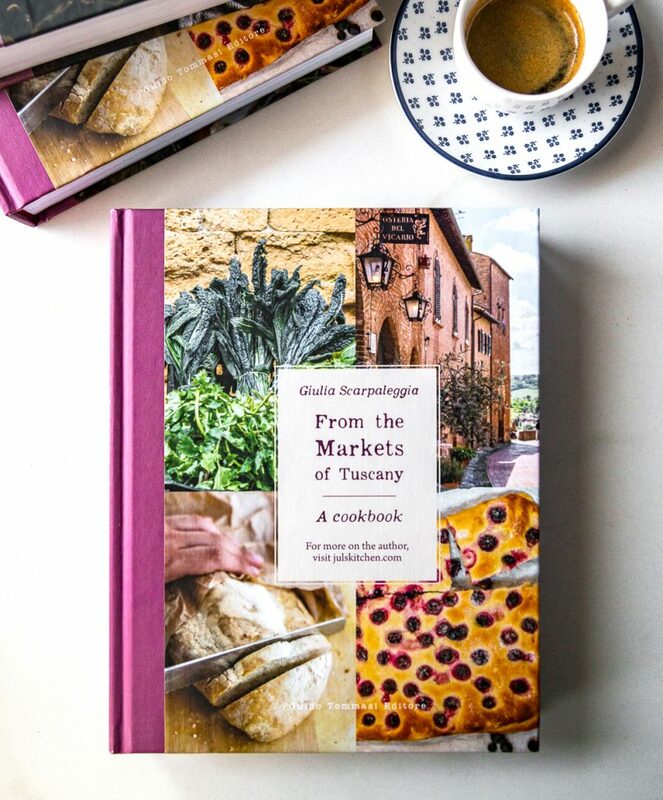 They hand pack all the food boxes carefully in Italy and send them directly to their clients’ doorstep in the USA, with all the recipes to cook a full meal for 4 people like an Italian Chef. Their mission is to bring authentic high quality Italian food products to the USA, and to enable market expansion for small and medium producers, sustaining authentic food made by local traditions passed on throughout generations. 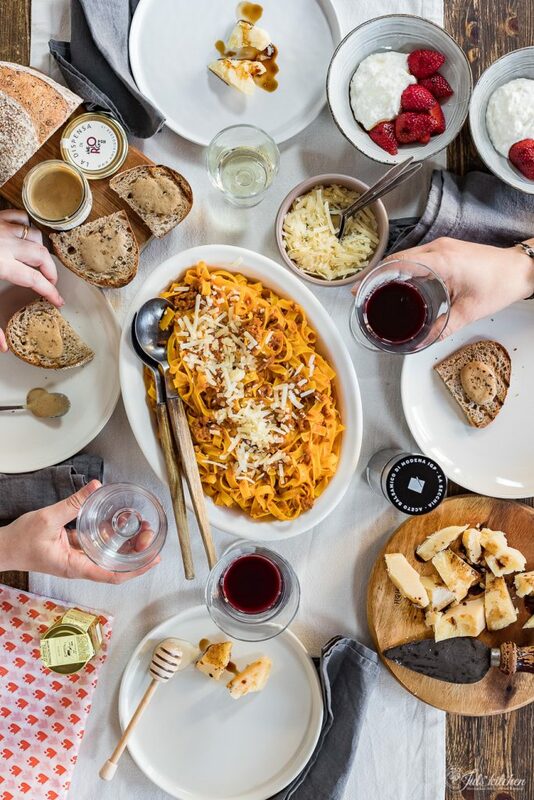 When you subscribe to the Eattiamo Italian food box, you will receive directly at your doorstep the ingredients to make an Italian inspired full meal for four people. Every month you will receive 7 undiscovered high quality food delicacies to prepare a full meal and all the steps to cook it: precise instructions, tips and ideas on how to serve the recipes. On the Eattiamo website you can also watch a video recipe to learn how to make the main course of your meal. We’ve developed a Tuscan food box full of goodies by some of our favourite producers, like Pruneti, Savini Tartufi, Pasta Toscana, Il Vallino, Molino Pasini and Fratelli Lunardi. 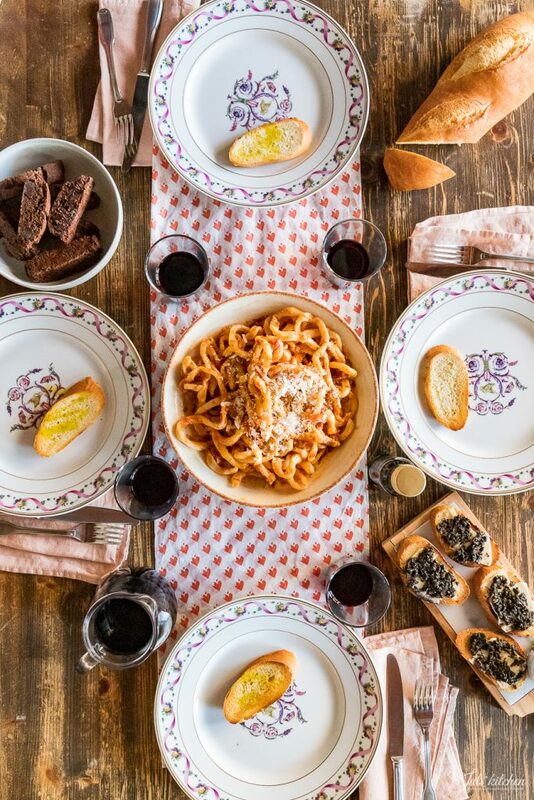 You will receive all the ingredients to make a Tuscan inspired full meal for 4 people: truffle crostini, home made pici with tomato sauce and delicious chocolate cantucci to close it on a sweet note. The pici are thick homemade spaghetti, made just with flour and water, typical of Val d’Orcia and Val di Chiana, two beautiful areas in Tuscany. They are chewy and must be cooked al dente. They are typically dressed with a garlicy tomato sauce, and a generous sprinkling of grated pecorino. 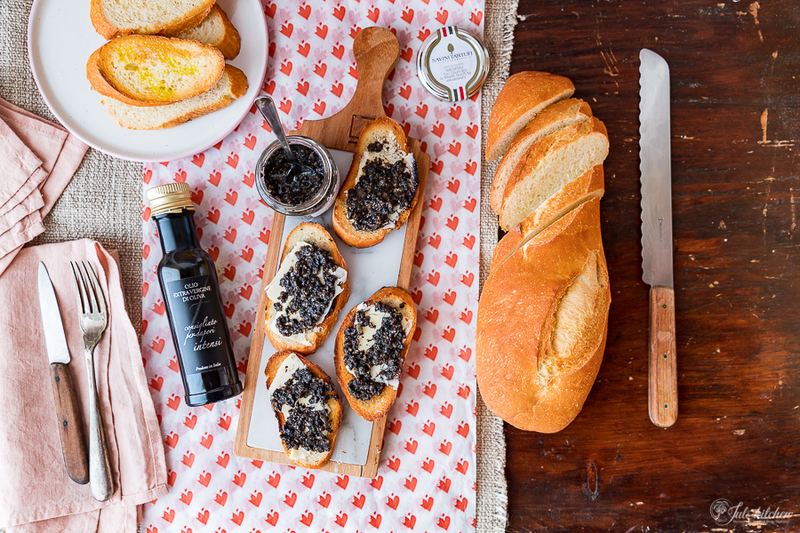 The crostini are spread with Savini’s truffle gatherer’s sauce, made with mushrooms, olive oil, capers and Italian black summer truffles. It is excellent on its own or mixed into a bowl of pasta, but it really reaches another level when spread on bread with butter. Lightly toast some baguette slices, spread with butter and add the sauce on top. 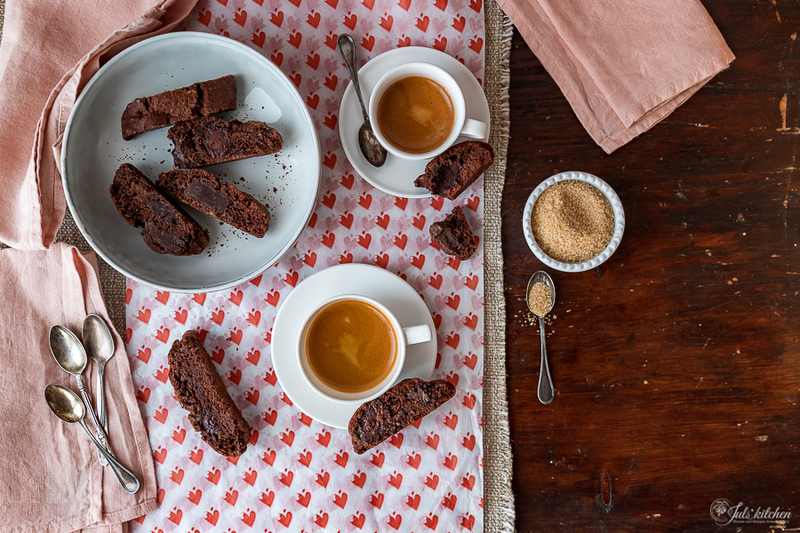 Cantucci are probably the most famous biscotti in Tuscany. They are the best end of a meal, especially if paired with a dessert wine or a cup of espresso. 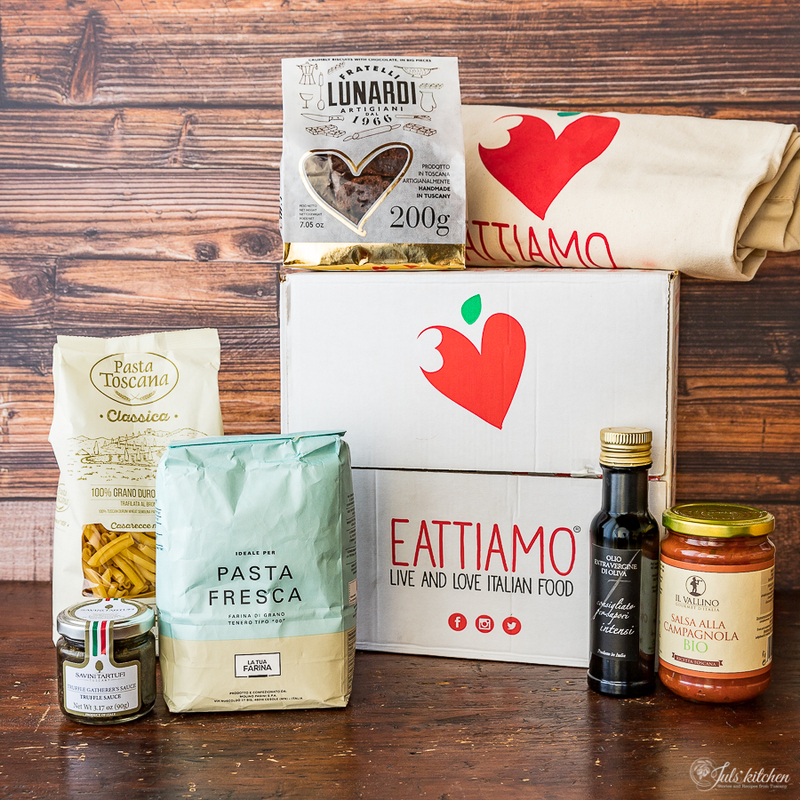 If you want to receive the Eattiamo Italian food box, follow this link and remember to use the code JULSKITCHEN to have a 15% discount. previous post: Goodbye April. Welcome May!